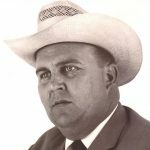 Harry A. Beason passed away peacefully on Wednesday, August 15, 2018. Service: Memorial Service will be held at First Baptist Church of Lakeside on Saturday, August 18, 2018 at 12:00PM. Visitation: The family will be receiving visitors at First Baptist Church of Lakeside on Saturday, August 18, from 10:30AM until 12:00PM. Memorial: In lieu of flowers, the family would like to request donations be made to The W.A.R.M. Place of Fort Worth to support children and their care givers who are grieving the loss of a loved one. The W.A.R.M. place is a wonderful organization that ministered to the Beason family many years ago in their time of need. Harry was born in Lake Worth, Texas to parents Hjalmar E. and William Harry Beason. He died shortly after his ninetieth birthday, having never lived farther than 3 miles from the home in which he was born and raised. Even as a child, Harry was very resourceful, working odd jobs at Casino Beach from the age of 8. After high school he worked for American Airways, Western Hills Hotel and General Dynamics. Always interested in law enforcement, he took and passed the test to be a Texas Highway Patrolman. He was put on the waiting list, but they didn’t hire him quick enough. Harry was approached by the city council of the newly formed city of Lake Worth, Texas. Although he couldn’t imagine why, they hired him as the first police chief of Lake Worth. And thus, at the tender age of 21, he simultaneously became a rookie police officer, police chief, and the first employee of the Lake Worth Police Department. Harry worked for the Lake Worth Police Department for 6 and a half years during the “Gamblers and Gangsters of Jacksboro Highway” era. He was personally responsible for suppressing widespread criminal activity that ran rampant due to the 29 bars of the area. While at Lake Worth, Harry was instrumental in the establishment of the Lake Worth Volunteer Fire Department. He also volunteered for the Emergency Corps which assisted in emergency water rescues. Emergency rescue was a theme of Harry’s life. He rescued his first drowning victim at the young age of 10. Before CPR was even invented, Harry pumped the boy over a log until he was revived and began to breathe on his own. Other water rescues followed, and by the time Harry was 25 years old, he had rescued and revived 5 drowning victims. Harry left the police department and went to work for the Tarrant County Sheriff’s office under Sheriff Harlan Wright. When Doug Crouch became the District Attorney in 1959, Harry went to work as Chief Criminal Investigator for the District Attorney’s office. He remained there until his retirement from law enforcement in 1966. From the very start of his law enforcement career, Harry treated the criminals he encountered on a daily basis with dignity and decency. He repaid kindness with kindness, but quickly recognized and dealt with ill-intent. Harry had a habit of converting enemies into lifelong friends. Many will tell you that Harry Beason kept them out of trouble, out of jail, or even out of the penitentiary and set them on the straight and narrow path. Others will say he sent them up, but they came out changed men. Numerous people came back years later to thank him. Harry could read men and knew who was sincere; those he allowed to enter his home with his family. Only one man didn’t pass Harry’s “good intentions” test after he exited prison, and that man was never allowed back into Harry’s life. Throughout his law enforcement career, the closest thing Harry had to a partner was Texas Ranger G.W. Burks. If their badges could talk, oh, the stories they would tell. Name any notorious, case, criminal, or trial occurring during their careers and you can bet the two of them were involved. After retiring from law enforcement, Harry worked at American Manufacturing as Chief of Security. He also worked for Lake Worth ISD in the maintenance department and as a bus driver. He then engaged in several entrepreneurial enterprises such as The Luncheonette, Snow Cone Trucks and finally Beason and Sons Construction. Harry’s first wife was Margaret Steed. They had one son, Harry Andrew Beason, Jr (Andy), who was born June 22, 1953. Andy grew to be the spitting image of his proud father. Andy continued to make Harry proud when he followed in his daddy’s footsteps and volunteered with the Lake Worth Fire Department rising to the rank of Chief. As a young police officer, Harry frequented Chenault’s Restaurant where a cute car-hop caught his eye. Long before he asked her out, he told just about anyone who would listen (and some who didn’t care to listen) that she belonged to him. In fact, the only one he didn’t tell was Jonnie, herself. He finally asked her out and they went on their first date on January 30, 1965. And boy what a date it was. Back in those days, Harry’s personal car was also his patrol car. Shortly after the date began, a call came over the radio of a robbery in progress on Long and Azle Avenues. There were no other officers in the area. When the second call rang out that the robber had taken a hostage, Harry told Jonnie he had to respond because this was a family friend. He rolled up on scene with Jonnie in the car. Harry jumped out and engaged the suspects. After several tense moments, gunfire ensued. Harry remained unscathed, but the same cannot be said of the robbers. Harry remained on scene to complete the investigation, and Jonnie got another ride home. It took 6 months before Jonnie was willing to go on a second date. But falling in love was inevitable and Jonnie and Harry were married on Dec. 6, 1968. Harry became stepfather to Jonnie’s children: Tyrena, Marty, Regena, and Terry. Neither Jonnie or Harry were expecting to expand their already large family, but sometimes God has other plans. An 11 pound 5 ½ ounce bundle of joy named Darrell was born on February 28, 1970. Harry loved to brag about his “premature” boy. The family has continued to grow with the addition of spouses, grandchildren, great-grandchildren and one great-great-grandchild. Over the years many others became “adopted” members of the Beason family enjoying the wisdom, guidance, and protection that Harry afforded them. Andy is married to Beth and they have 2 boys. Brian is married to Bethany and they have 4 children: Lillie, Jeremiah, Kristopher, and Brylie. Brad is married to Elizabeth they have two children: Leavy and Alyssa. Tyrena married Mike Sonnamaker. They have 3 children: Jenni; Josh is married to Yanik, and they have 2 boys, Gavin and Mason. Jacqui is married to Matt Impson and they have one son, Logan. Marty has one daughter, Chelsea, who is married to Taylor Corbin and they have 3 children: Mackenzi, Jacob, and Ritt. Regena has 3 children. Teresa is married to Rito De Leon and they have 3 children: Cameron, Madison, and Anne-Marie and one granddaughter Remi. Jason has 4 children Jase, Skylar, Kenzie, and Everly. Justin has 2 boys London and Kahnon. Terry is married to Sheryl and they have 5 children: Xander, who is engaged to Madison, Claire, Wyatt, Noelle, and Colt. Darrell is married to LeAnne. They have one daughter Meghan, who is married to David Pellizzari and they have 2 boys: Slaton and Sterling. Throughout his life, Harry was a well-known prankster. He proudly admits to being the unindicted co-conspirator of the original Lake Worth Monster. Stories abound about such pranks as “the bobcat in the suitcase”, throwing Bill Roden’s little brother Charlie off the Lake Worth Bridge, his never-ending case of Optosis, and that most vocal of all birds: the Mileamore. His law enforcement hijinks are legendary as well. He entertained many with stories of numerous marriage counseling trips to see Sally. And then there are the all-important law enforcement cases for failure to obtain a hitchhiking permit, frigamy, hibotchery and operating too close to the road right-of-way without a license. His interrogation techniques are legendary and the characters he recalled were more colorful than the rainbow. All who knew Harry can remember storytelling sessions where they laughed until their cheeks hurt and their bellies ached. The wonderful home health care workers, nurses, and doctors who treated him will attest to the fact that Harry retained that sense of humor until the end – entertaining all who would listen with stories and jokes. Prayers in time of your loss. Harry made the world a better place..
Prayers of peace, comfort, and strength to the family. Reading his obit, I laughed out loud at some of his antics! Harry was well-known in the community and led an interesting and extraordinary life. He will be missed. Harry Beason was an icon of LW...never to be forgotten...prayers and condolences for the Beason Family.